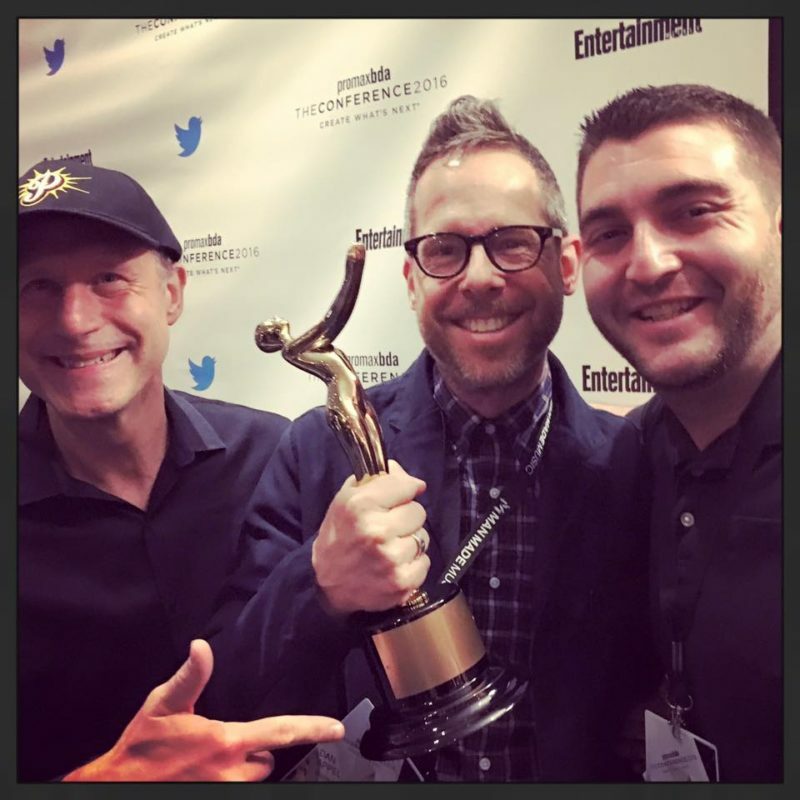 Last week’s PromaxBDA Conference was a great time, as always. We hobnobbed with many of our favorite people in the promo world and enjoyed some inspiring and informative panels. “The State of Our Art” presented by Maurice Marable & Kendrick Reid was a personal favorite, featuring truly heartfelt, transformative work. Though it’s never why you go, it was lovely to have some of our projects recognized as among the year’s best. Two gold and one bronze of these shiny ladies, out of six nominations, are our grateful haul for 2016. Much gratitude to PromaxBDA, our wonderful clients at AMC, History (pictured) & USA, and the dedicated creatives, crew and support staff at Bacon & Sons who helped us do work good enough to be so honored.